Another year, another list of remarkable rare books, collectibles and art. We have been compiling this list of most expensive sales for many years now and it never fails to amaze. The descriptions are like mini-history lessons and each item usually has a fascinating background story about the author, illustrator, publisher, or even a previous owner. Only 22 copies of the true first edition are in existence after Lewis Carroll withdrew the entire print run of 2,000 copies. One such copy came up for auction earlier in 2016 and was expected to sell for between $2 million and $3 million, but it failed to meet its reserve and didn't sell. This copy that sold via AbeBooks was one of the first thousand copies printed for the American market. The publisher is Appleton of New York and the publication date is 1866. A signed first edition of this classic from 1960 in fine condition with a price clipped dust jacket. Harper Lee died in February 2016. The most expensive copy of this book ever sold on AbeBooks went for $25,000 in May 2011. The story of the world’s favorite bear, signed by Milne on a bookplate stating the author’s address. 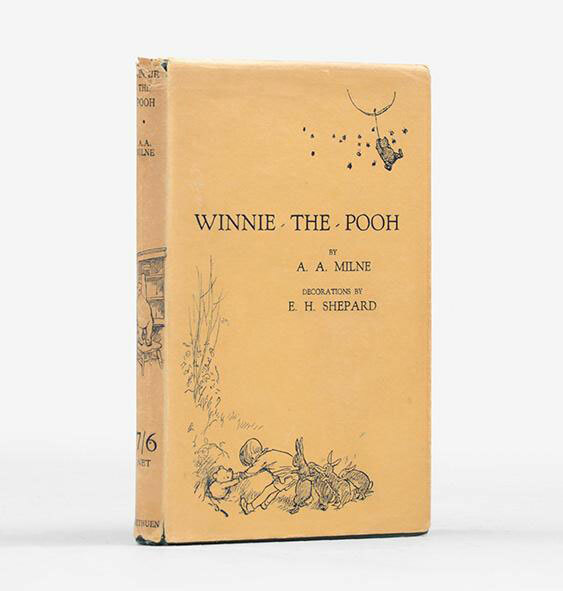 The opposite page is inscribed by the book's illustrator Ernest H. Shepard. A fine first edition from 1926. Signed on June 28, 1961, this document confirms the appointment of Harry C. George as a marshal in Eastern Illinois. Signed copies of JFK’s Profiles in Courage have sold for $4,000 and $6,000 in the past. Size matters with this behemoth. Published in 1999, Sumo is an aptly named photography book that weighs more than 77 pounds (35 kilos), and is 19.7 inches x 27.6 inches in size. It's so massive that it comes with its own folding metal stand. Published by Taschen, the book offers 450 photographs in color and black-and-white of scantily clad fashion models. The copy purchased was one of the 10,000 signed and numbered copies that sold out immediately after publication. The good news is a cheaper version does exist. June Newton, Helmut's wife, issued a revised edition in 2009 and prices begin around $85. A signed 1943 first edition of the singer ’s autobiography. What rare, collectible item would you buy with $36,000?